Slavery was deeply woven into the fabric of the United States and challenged the meaning of democracy. Enslaved people’s work formed an economic engine producing half of all U.S. exports and providing much of the financial capital and raw materials to spark industrialization. 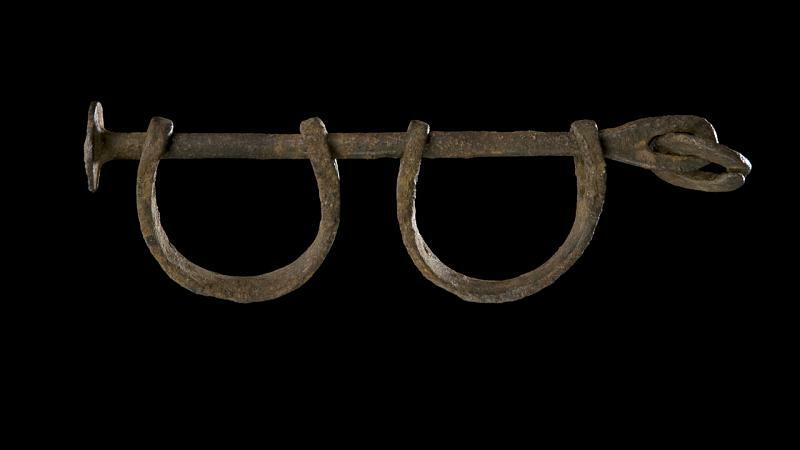 Bought and sold as property, enslaved people were valued at an estimated $2.7 billion in 1860. Despite daily denials of their humanity, enslaved African Americans sustained a vision of freedom. They seasoned life with small pleasures and found ways to make food, family, dance, prayer, dress, and even work their own. These everyday acts helped build identity and a foundation for freedom. An estimated 600,000 enslaved African Americans were bought and sold in the United States in the decades before the Civil War. More than half of those sales separated parents and children.